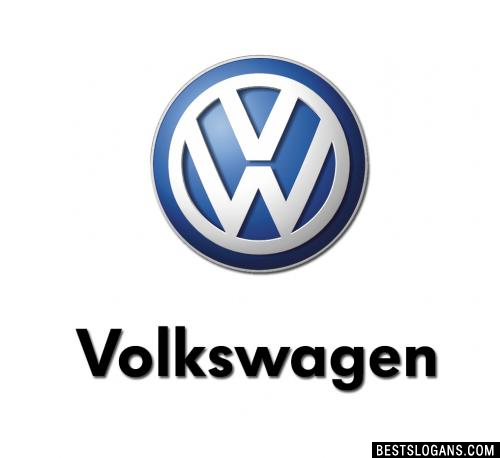 10 new entries added to volkswagen slogans, that include pictures. 1. Volkswagen Polo. Built to protect. 1 Volkswagen Polo. Built to protect. 2 For boys who were always men. 3 Volkswagen Golf. One of the greatest pleasures you can have. 5 If gas pains persist, try Volkswagen. 7 For the love of the car. Can you think of a good Volkswagen Slogans we're missing? Or come up with a clever one of your own. Please share below.